A Brief History: If you look at a map of present-day Germany, Mecklenburg Vorpommern appears as a state in northeastern Germany, bounded on the north by the Baltic Sea (Ostsee), on the west by Schleswig-Holstein, on the southwest by Lower Saxony, on the south by Brandenburg, and on the east by Poland. The state lies in a fertile plain containing many forests and lakes and is crossed by the Elde, Warnow, and several other rivers. Retreating glaciers during the Ice Age of Northern Europe created the rolling hills and meltwater lakes of this region of woods and fields. All older traces of human colonization were destroyed by the ice. These were not always the boundaries of Mecklenburg. For genealogical purposes, we have to look at Mecklenburg as its own country or state prior to 1871. We must do this because before the unification of Germany in 1871, people did not consider themselves Germans as such. They were natives of one or another of the various three dozen loosely allied German states. They considered themselves Prussians, Bavarians, Hessians, Pomeranians, or Mecklenburgers. People began to colonize this area after the warming in the latter part of the Ice Age. The lives of the people in these early times were geared towards hunting and they had a great dependence on animals. Their tools were made from flint, bone and horn. Many archeological digs along the Elde River have found remnants of these peoples. The most impressive signs of the Early Stone Age colonization are the large stone tombs of 4000-1800 BC. Flint tools from the Middle Stone Age have been found as well as further tools and artifacts such as flint daggers which were used in the Bronze Age to 600AD. There are also graves from the Bronze Age. At present all archeological finds are under the protection of the Museum of Antiquities in Schwerin. Unfortunately many of the sites were excavated and lost during settlement in the past. Teutonic peoples inhabited the Mecklenburg area in the first centuries of the Christian era, but early in the 6th century, it was seized by various Slavic tribes. Archeological finds from the Slavic settlements include pottery, graves, and remnants of some of the settlements themselves. In 1983, near Siggelkow, an iron smelting work was discovered from the Roman Empire during the first century AD. The early name for the Mecklenburg area was Vandalia and later it was called Wendenland. 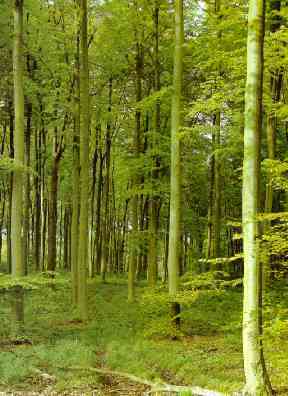 The land was not cultivated during the Slavic times, but was covered everywhere with primeval forest. It was economically and culturally cut off from the rest of Germany. 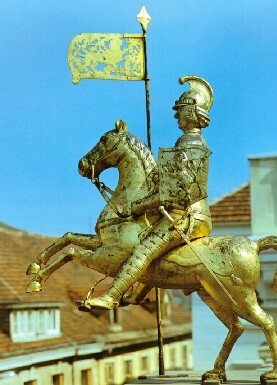 The Mecklenburg region was conquered by Henry the Lion, Duke of Saxony, in the latter half of the 12th century and the land was first opened up by Henry through a combination of missionary work and colonization. In 1348 it was elevated to a duchy. In 1549 Lutheranism was recognized as the State religion. Then, in 1621, Mecklenburg was split into two duchies: Mecklenburg-Schwerin and Mecklenburg -Gustrow (changed to Mecklenburg-Strelitz in 1701). Mecklenburg- Strelitz was roughly as large as the state of Rhode Island in the United States, and Mecklenburg-Schwerin was about the size of the state of Connecticut. Mecklenburg-Strelitz was divided into two parts, one on either side of Mecklenburg-Schwerin. Between 1733 and 1755 the estate owners of Mecklenburg increased their land holdings. They were backed by the Kaiser of the Holy Roman Empire in this effort. By the Convention of Rostock in 1755 in Mecklenburg Schwerin, all power was placed in the hands of the Duke, nobles, and upper classes. The lower classes had no voice. Land was held under a Feudal system. From 1759 to 1764 all of Mecklenburg was occupied by Prussia. Unlike the surrounding areas, however, Mecklenburg managed to remain autonomous for another century. From 1806 to 1813, the country suffered great hardship and destruction during the period which came to be known to all Mecklenburgers as the "Franzosentid" ( period of French occupation). Robbery and pillage became commonplace. Both duchies, Mecklenburg Schwerin and Mecklenburg Strelitz, were forced to join the Confederation of the Rhine under Napoleon's protectorate. Of the more than 2,000 men who were conscripted from Mecklenburg to take part in Napoleon's campaign against Russia, less than one hundred came home again. After Napoleon's defeat in Russia, the dukes of both Mecklenburgs were among the first to renounce the alliance with France and in the War of German Liberation which followed (1813-1815) Mecklenburg played a significant part in defeating Napoleon and liberating Germany from France. In 1815, the dukes of Mecklenburg were elevated to "Grand Dukes", and Mecklenburg became a Grand Duchy. With the coming of peace, however, there also came a period of economic depression which lasted until the early 1820s. In Mecklenburg at this time a very primitive type of Feudalism existed, known as "Inherited Serfdom". The land owners controlled the economy and ruled their estates with absolute authority. The peasants were dependant entirely on the nobles who could even buy and sell them with or without their property, and the tax rate had to be reviewed every two to three years, and was usually increased at that time. They could not acquire any more land than they already had. Their Landlords produced crops for export from their vast estates by using the labour of these bonded peasants, servants and laborers. The landlords were known as "Landed Junkers". This word comes from "Jung Herr" which means "young noble". Mecklenburg land produced grain, especially rye, in great abundance and there was a large surplus for export. 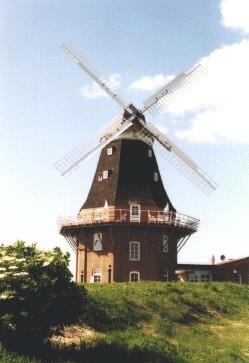 The land was dotted with windmills and gristmills for processing the grain. Other crops included potatoes, sugar beets, peas, beans and cabbage. Livestock was also significant to the economy. Both horses and cattle were raised for export. Wool was another important source of income. In the 1800's the Landlords drove away more and more peasants with their highhanded ways. They then incorporated those peasants' plots into their estates, and crop production expanded further. This callous robbery of the peasant properties was known as "peasant seizure". Ten thousand peasants lost their holdings in this way. In Mecklenburg where the Nobility owned almost all of the land and dwellings, the number of the estimated peasant vacancies went from 2,490 to nearly 12,000 by 1800 AD. The former peasants who had land left held only small holdings which ensured little more than a bare livelihood for them. Those villagers who were without land became cottagers or gardeners. Eventually they were simply known as day laborers (Tageloehners) and lived in grinding poverty. They were deprived almost entirely of their earnings and thereafter were forced to work for a starvation wage on the Junker estates. They traveled the countryside, moving from estate to estate as the land owner required their labor for plowing, planting or harvesting crops. Peasants often had to move constantly. It was common for a man to be born in one place and get married in another place to a woman who was born in yet another place. Then, each of their children might be born in a different place. The life they lived gave no possibility of resistance in an effort to better their condition. Even the Police Force was under the jurisdiction of the Landlord and they held their own Courts of Justice. In some cases peasants tried to reject their feudal service, do poor work, or not furnish their dues. Estate owners employed bailiffs, overseers and estate stewards who could inflict severe penalties to those who did not conform. These included beatings, whipping and imprisonment for even small offenses. The village pastor was also entirely dependant on the Landlord and was compelled to ensure the obedience of the peasants and laborers. The school teacher had to educate children in absolute obedience concerning estate matters. Whenever a pastor came forward on grounds of conscience and took the side of the underprivileged, he was banished as the pastor. In Damshagen near Klütz, the Baron von Plessen had a local pastor beaten with a riding whip before his church door because he had been fishing in a small lake in the parish without the Baron's express permission. The fishing rights to all ponds and lakes in the parish belonged to the Landlord alone. There was progressively more exploitation of the peasants and laborers in Mecklenburg at the beginning of the nineteenth Century. A Mecklenburg landowner at this time is quoted by Fritz Reuter in his book, Seedtime and Harvest, as saying, "What do they need besides a loaf of bread, a salted herring, potatoes, cabbage, and a small garden to develop? Is not one garment adequate for the most part, and thus they are provided with sufficient". In 1807 Baron von Stein tried to carry through a reform of the Feudal system. He felt the peasants' and laborers' lot had to be improved. He did not want to abolish the large Landholders, but they were to be limited in their political and administrative powers and to improve the state of their workers. At that time, workers worked from sunrise to sunset for a pfennig an hour, a very small amount. The value of goods (potatoes, corn, wood, etc.) was deducted from that and most of their work was paid for by these goods. Women and children performed heavy work. Baron von Stein's reform said that peasants could now change their place of residence without permission, and children were allowed to learn a trade. But the Landlords fought these progressive measures, refused to implement them, and the edict of Baron von Stein was never executed. Legally, serfdom was abolished in Mecklenburg in 1820 and the peasants were freed from their obligations to land owners. But this worsened the conditions for most peasants because the land owners were freed , at the same time, of any obligations under feudal law to provide their tenants with any means of supporting themselves, thus leaving the peasants in even greater poverty. Probably because of this , the freedom act was never really enforced and even in the middle of the nineteenth century, peasants were still bound to their landowners. The servant of a noble landowner was not even permitted to marry unless his master gave him permission and a place to live. Many peasants and labourers left Mecklenburg and emmigrated to other countries as their conditions became unbearable. In the early 1840s, the liberal bourgeois party began to speak out against the noble landowners and the special privileges granted them. By 1848 there were secret meetings in many Mecklenburg towns of reform societies and a politial revolution was a distinct possibility. However the revolution did not have enough support and eventually failed. The workers' situation in Mecklenburg remained unchanged until, under the Soviet Military Administration, in October 1945 there was a land reform and the large estates and their landholders disappeared. The Mecklenburg Duchies joined the German Empire in 1871 and after World War I were declared states of the new German Republic. In 1934 they were united into a single German state of Mecklenburg. After World War II Mecklenburg became part of the Soviet Zone. The state was dissolved in 1952, when East Germany was reorganized into districts. The area remained behind the Iron Curtain and part of East Germany until 1990 when Germany was unified and the state of Mecklenburg-West Pomerania was created.